Fog-Out Window Solutions offers a cost-effective, low-hassle solution to the frustrating problem of fogged windows. Our process solves window condensation problems at a fraction of the cost of window replacement without having to remove the unit and we back it with a 10 year, 100% money back guarantee! So why should you have Fog-Out Repair your windows? Firstly, moisture in your windows looks ugly, ruins your view, and can damage your windows permanently over time. Secondly, it is less expensive than replacement. We can repair your windows for less then half the cost of replacing them, saving you money, saving your window (keeping it out of the landfill), while restoring the R-value & view of your window. We get the fog out… you enjoy the view! Don’t be like a lot of people who wait to repair their windows until they’re forced to–because they’re selling their home. Enjoy your window now! If it needs to be fixed, you might as well do it now & enjoy your view! 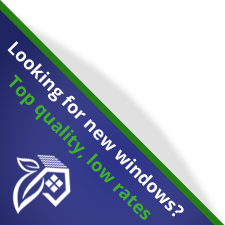 Fog-Out Window Solutions was the first and is the longest operating window repair business in Alberta. Other companies have come and gone, taking payment from people, but not lasting long enough to be around to fulfill the warranty. You can trust Fog-Out Window Solutions! !